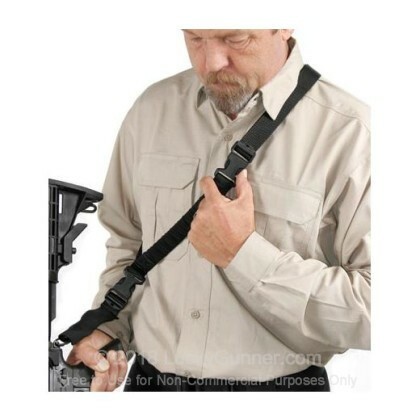 Blackhawk's Storm XT single-point sling is perfect for carrying your AR-15/M4 rifle or tactical shotgun with its adjustable design and side release tri-glide buckle. 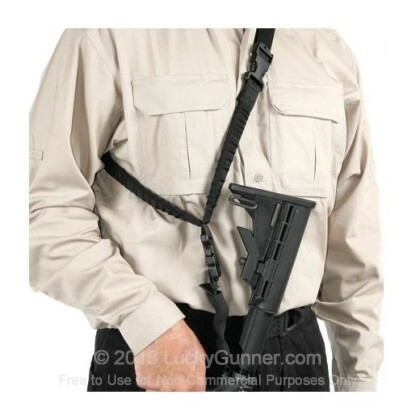 Constructed of heavy-duty 1.25" nylon webbing, this single-point sling has a 300 lb. test rating. The XT Series includes a high-strength polymer buckle between the wearer and the firearm, allowing the operator to separate from the weapons system, without removing the sling. The Storm single-point sling provides agility for the user in close-quarters situations with its flexible, elliptical bungee design providing 4" of flex for added comfort. 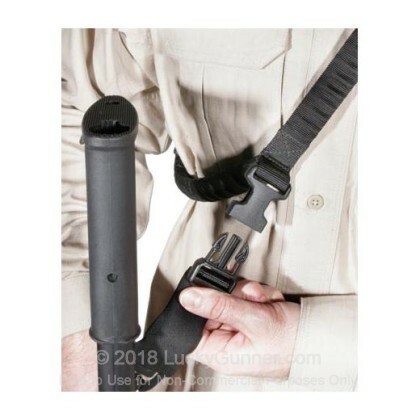 This Storm sling fits taller body sizes with a loop that ranges from 46" to 64" in diameter and is large enough to fit around bulky tactical gear and vests as well. This sling is ideally suited for taller individuals or for users who prefer a little more travel and freedom of movement with their sling.